Professionally cleaned carpet and upholstery in Rancho Cordova, CA. 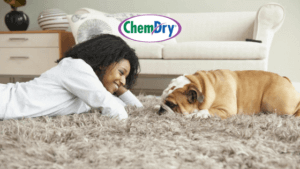 That’s right, Van’s Chem-Dry’s state-of-the-art carpet cleaning process is trusted by thousands in the greater Sacramento area. What’s the difference? Our secret is carbonation. Our solutions contain millions of tiny carbonated bubbles that help break up dirt and grime within carpet fibers. The result? A far deeper clean and a healthier home. Plus, our drier cleaning process means that your carpets will dry in a couple of hours instead of a couple of days. We strive to always provide the highest quality cleaning results for our customers. We are in this business because we actually want to make a difference in your Rancho Cordova home. With long dry times, carpets are more likely to start housing bacteria and mold. By providing shorter dry times, our carpet cleaning service helps in the prevention of these unwanted germs in the carpeting. 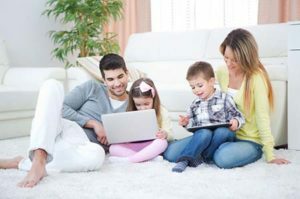 When you take advantage of Van’s Chem-Dry’s carpet cleaning service in Rancho Cordova, you’ll experience a faster dry time. To deep clean carpets, we use a solution called The Natural®, which just as the name states, is a cleaner that naturally lifts dirt, dust, and stains to the carpet’s surface for removal. Our low-pressure equipment rescues your carpets from dirt and grime instead of pushing it further into the carpet. Our powerful carbonation and suction are sure to make sure your carpets get a lasting clean. We’ve also made sure that this signature cleaning solution is perfectly safe for homes and families, including pets. Our services are minimally invasive while still thoroughly and efficiently rendering your Rancho Cordova home clean and fresh from airborne toxins. We are ready to give you a free price estimate or to schedule your appointment today! Freshly cleaned carpet in Rancho Cordova, California. The Carpet and Rug Institute (CRI) assigned the Chem-Dry brand the Seal of Approval for our innovative cleaning process & quality service. The CRI’s badge of approval acts as proof that, when trusting Van’s Chem-Dry for your cleaning needs, you are taking advantage of a service that has been proven to succeed. Though we value the approval of the CRI, an even stronger recommendation is that of your friends and neighbors in Rancho Cordova – see what they have to say about our work with their Van’s Chem-Dry reviews. It’s plain to see that we have made a name for ourselves, find out why! We work our hardest with our top-of-the-line equipment and powerful cleaning solutions to get your carpets clean the first run through, and you won’t be disappointed! Our powerful, yet healthy carpet cleaning method will improve the cleanliness and appearance of your home or businesses’ carpeted floors. We have been a preferred carpet cleaning service by customers in Rancho Cordova since 1979. Contact us today and let us show you why! Are you looking to clean your furniture? 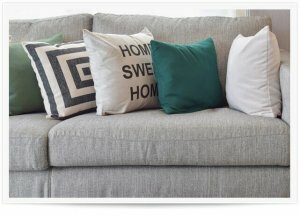 Van’s Chem-Dry also offers professional upholstery cleaning and more in Rancho Cordova, CA! Learn more by giving us a call! Also serving: Sacramento, West Sacramento, Gold River, Elk Grove, and surrounding areas. Call or Text Today For A Free Price Quote! Sacramento & Elk Grove metro areas, including: Carmichael, Elverta, Gold River, North Highlands, Rancho Cordova, Rancho Murieta, Rio Linda, Rosemont, West Sacramento & Wilton, CA.